Side stepping away from my work life I wanted to combine my passion of MINI with a business which leads me down a path of researching, finding suppliers, endless emails and phone calls. This led to various forms, purchasing, testing than scrapping and starting over again since March 2014 when the idea came to my head. I saw a gap in the MINI market to provide MINIacs like me with custom-made parts for both road and track. 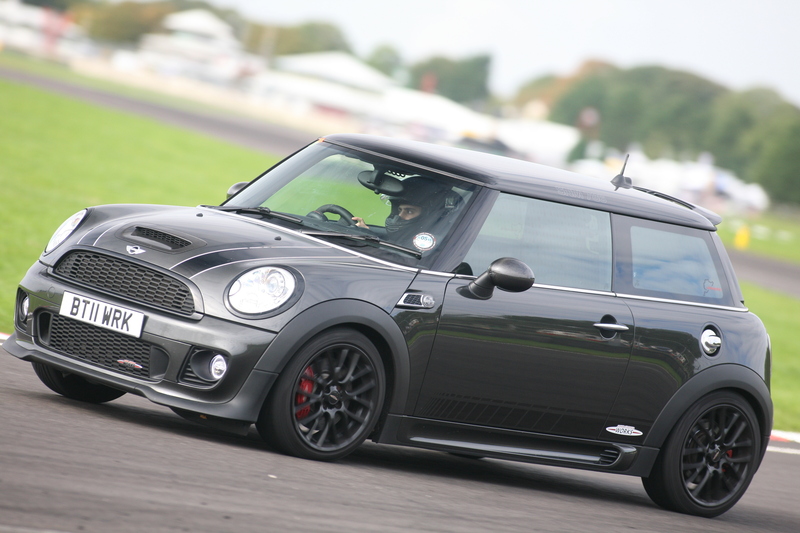 The carbon fibre tips were something I wanted on my car but I reckon I could make it for my JCW and this gave birth to MINI ROAD & TRACK aka MINI RNT. So began one man’s journey into how carbon fibre is manufactured and finding the right supplier. Carbon fibre is a wonderful material which first started its life in military and aviation industry due to weight to strength ratio then moved into various industries through the ages to more recognisable automotive applications such as F1. After months of emailing and meeting suppliers, I found the right one with the knowledge and willingness to help me achieve my goals. 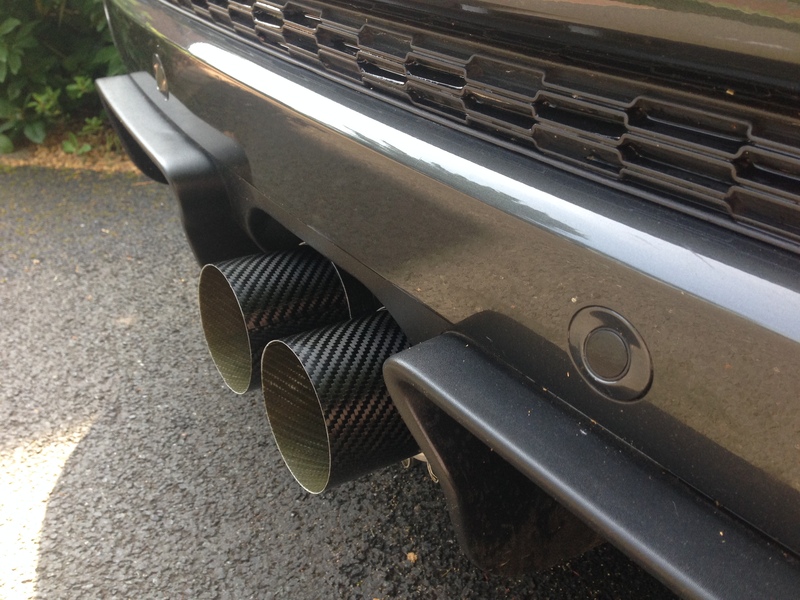 I ordered in at significant cost to myself the first batch of carbon fibre exhausts tips to my JCW and I have been driving with them for the last 9 months which equates to roughly 11,000 miles as I do 1,200 miles a month which don’t include any mini events I attend. I am a very fussy man when it comes to certain things and more so with my JCW and other things I own as I like to buy the best possible item for the job and I like to buy once. It is the main reason why I have tested the carbon fibre tips for so long before finally offering to MINIacs worldwide. MINI RNT’s first product is the carbon fibre exhausts as on my JCW which can be easily installed within 5 minutes which simple tools and no drilling is required. They are only suitable for R56 JCW, GP2 & R56 Cooper S with the JCW Backbox exhaust given they were developed on my JCW. Don’t worry the love will be shared to the every generation of the modern mini in the future. These exhaust tips have been designed for road use and show cars only. I did test the tips on track which resulted in some charring and heat derogation of the carbon fibre due to the high levels of heat at a full day of track abuse. There will be however a track version later for your hoonigans which will be a different composite of carbon fibre for high heat applications which is currently in development. Shipping will be free to the UK only with international shipping incurring a charge. Thank you for the continued support, smiles, laughs, memories and adventures.